Five years ago, many people who had spent years criticizing the UK government's use of information technology woke up to a profound change. As the entrepreneur and activist William Heath wrote and I followed up a few months later, suddenly technically valuable people saw UK government as an unbeatable opportunity to make a positive impact on tens of millions of lives. 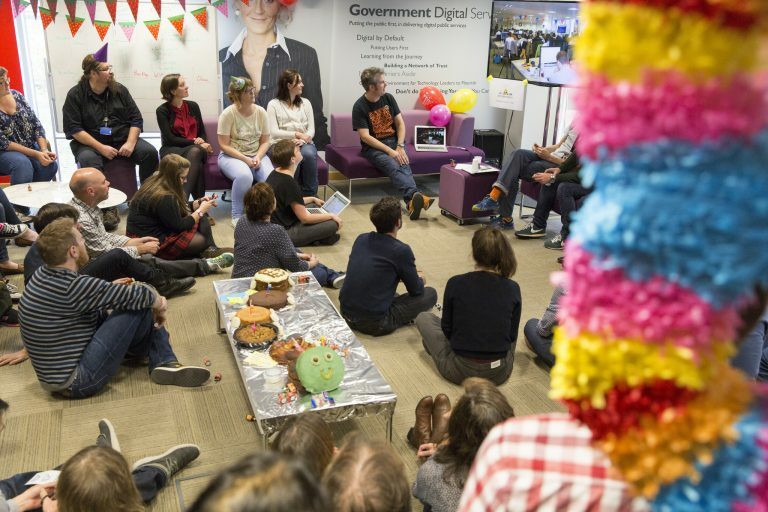 The Government Digital Service was created with a mandate from the Cabinet Office by people like Mike Bracken, Tom Loosemore, and a bunch of others to reinvent government IT. Partly, this was sheer necessity: there was, as the outgoing chancellor had informed the incoming chancellor, no money. Giant, failed IT projects that wasted billions of pounds were now unaffordable luxuries. There was always one big proviso: how to root the ideas behind GDS so firmly it couldn't be discarded later. Bryan Glick, who seems to be GDS's chief chronicler, summed this up in an August blog posting discussing how to break up GDS without breaking it up: entangle its influence until its own existence was no longer necessary. Yes, GDS has had its failures, as The Register has been happy to document, but it's had successes, too. It is now far easier for a normal person to find government information; Gov.uk is doing its job. Still, there is a long, long way to go to Heath's original dream of government as our service, digitally delivered. A much more profound shift away from centralized hierarchy is needed. The battle between centralization and decentralization underpins many current disputes: legacy telephone companies and the internet (at least, as originally conceived); personal data stores that groups like Mydex are building versus the data mountains whose breaches appear in daily news headlines. Ultimately, centralization leads to the collect-all-data-in-case-it's-useful mentality of the Investigatory Powers bill, and it's deeply embedded in British government, as Yes, Minister writer Antony Jay said last year. It's not clear how much of a dent GDS has been able to make in that entrenched mode of thinking. As soon as Bracken and Loosemore announced their departures, the immediate question was: will GDS survive? The civil servants I know all seemed optimistic at the time. Oh, yes, they said: there are so many good people left. They're prepared. But are they now? Glick and departing GDSers themselves have been documenting a stream of departures ever since, some willing, some not. A few - such as former GDS program manager Andrew Greenway, Anne Kempster, and GDS co-founder Etienne Pollard - have made their frustration public. "Whitehall always wins," Greenway observed gloomily in August, calling GDS's prognosis "defenestration". Even less optimism surrounds the source of the incoming director, Kevin Cunnington, whose previous job was leading business transformation for the Department of Work and Pensions. Which - whether it's the reality or not - sounds much more like a traditional civil servant than the cheeky folks who founded GDS and who populate the monthly first-Thursday teacamps. 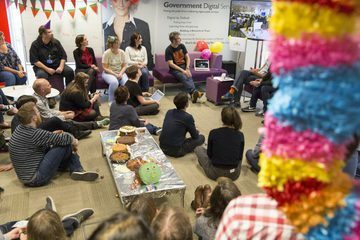 A year ago, most of the civil servants and civil-service-adjacents of my acquaintance were optimistic about the survival of GDS's culture: yes, some people had left, but many good ones were left. And then there was practicality: why would anyone want to interfere with an organization that was saving the government millions, if not billions, of pounds a year? 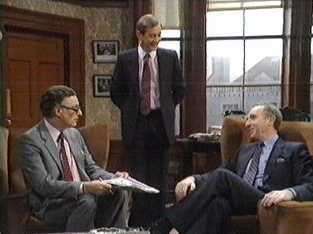 Jay and co-writer Jonathan Lynn had an answer: "There has to be some way to measure success in the civil service," senior civil servant Sir Humphrey Appleby (Nigel Hawthorne) explains (Season 1, episode 3, "The Economy Drive") to his naive junior, Bernard Woolley (Derek Fowldes). "British Leyland measure their success by the size of its profits - or, to be more accurate, they measure their failure by the size of their losses. We don't have profits and losses. We have to measure our success by the size of our staff and our budget. 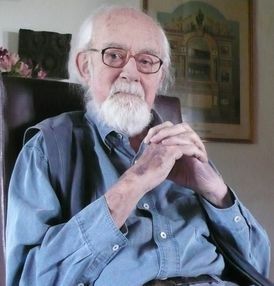 By definition, Bernard, a big department is more successful than a small one." The subject of their discussion: a northern region that has saved £32 million. "Suppose everyone went around saving money irresponsibly all over the place?" In the teacamp piece linked above, Heath outlined three steps: 1) transform government publishing; 2) transform government transactions; 3) transform policy. At the time, late 2013, he estimated that we were in the middle of step two. That is where we are still: Verify, intended to create a market for identity and authentication services, seems to have stalled; and although some transactions are in fact now remarkably easy much remains unchanged. Step three remains a dream. The fallout from the EU referendum seems to me to provide an excellent excuse for departments to stall, perhaps permanently. "In government, if you're not pushing forward you are going backwards at a pace of knots," a knowledgeable acquaintance said recently. Nonetheless, others close to the situation are convinced that while this iteration of GDS is likely, even probably, finished, its people will fan out across government departments in a diaspora that will ultimately spread change throughout Whitehall. A pessimist would say, "Divided and conquered." 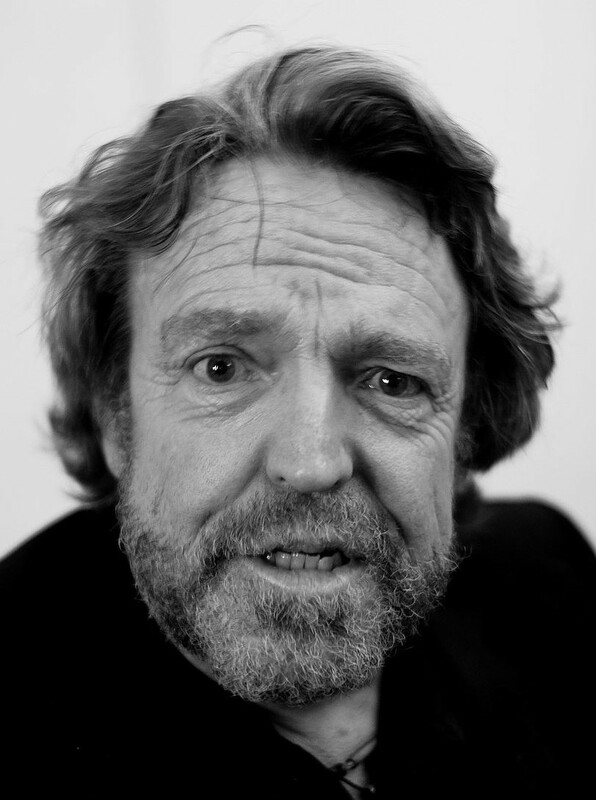 In the mid 1990s, John Perry Barlow, who later (1996) fleshed out his thinking in A Declaration of the Independence of Cyberspace, used to say that on the internet everything is global and everything is local, but nothing is national. He's been very consistent about this belief in the death of the nation-state; just a few days ago on Twitter, he posted that "Those who disagree with my assertion that "national sovereignty" is now good as dead... Note well that #Wikileaks is a "foreign power." A foreign power that's had to take refuge in the spare bedroom of London's Ecuadorian embassy? OK. Yesterday, at the UK Internet Governance Forum meeting, Andrew Puddephatt commented that "We are seeing the erosion of the rules-based international order that was established in 1945, which won't be good for the internet." Or at least, the internet as we have known it. Some may think that's a good thing. In today's news, Russia is blocking LinkedIn on the basis that the US company is vilating local data storage laws. The Investigatory Powers bill has passed both houses of Parliament and now awaits only the Queen's blessing. And everyone everywhere is fretting about fake news: who needs a state-sponsored propaganda machine when the internet - and even more so, television - will let you pick your own funhouse mirror? In the same panel, David Souter summed up the conflict, "The internet is internationalist but today''s geopolitics is not." Therein lie two paradoxes. The first is that nations are squabbling because everyone wants both surveillance and security. Both the US and the UK are adopting policies to allow them to access everything anywhere, whether via technical means such as "bulk equipment interference" (hacking) or via legal demands. Presumably the former is intended to enable the latter, as in, "Show us the data or we'll take it anyway." Meanwhile, many countries would like, in name if not in reality, to be able to claim their citizens are protected from such snooping through these data localization laws. The two goals are, of course, completely incompatible - but also likely impossible, and for the same reason: no country can completely control its own computer software and hardware. The second is that the reason we are having this conversation right now is the results of popular votes: first the British EU referendum and second the US election. Even if you think the incoming president-elect will destroy 70 years of liberal values, refusing to accept the vote (perhaps in favor of the electoral college) will end 240 years of those same social norms and liberal values that have seen power peacefully transferred. Which form of destruction would you prefer? However, the question of how and whether governments are going to be able to tear the internet apart is particularly pertinent because of the recent transition in governance: on October 1, the US qlet go the last vestiges of control and the transition to a multi-stakeholder model of governance was completed. ICANN is now independent. 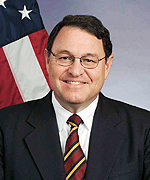 At UK IGF, Lawrence Strickling, the head of NTIA, warned that it's essential to be vigilant about the multi-stakeholder model. "Threats can come from unexpected places," he said, and protecting it requires participation. Souter brought up the example of the World Bank's 2016 report, which noted, for example, that while the internet has spread rapidly throughout the world, the development benefits have lagged behind and, worse, the internet has promoted helped worsen inequality (a view Yochai Benkler has noted applies even more to the distribution of power). That was just one of the problems Souter foresaw going forward. One danger, he said, is that the multi-stakeholder model the IGF is a part of will become an increasingly self-satisfied collaboration of like-minded people, primarily northern governments and civil society. Governments that, by contrast, are not seeing benefits might prefer to move away into a more favorable approach. This is even somewhat true of Western governments. 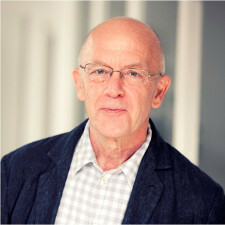 Puddiphatt argued, for example that in devising its lates national cyber security strategy, the UK government didn't consult civil society or the wide public; it consulted some industry. Alongside all this, Puddiphatt added that the UN's International Telecommunications Union could assume greater significance in the coming years, as the number of digital objects grows: "The ITU sees [digital object management] as a different way of doing the internet." Time was - about 20 years ago - when even if you didn't agree with Barlow you could think of the internet as exporting the First Amendment. Now, with vastly fewer players controlling significant aspects of the internet, a sharply right-wing incoming US administration that will get to wield a growing surveillance apparatus, many who promoted those freedoms are unhappy with the result. "Would we be having this conversation," I asked yesterday during the panel on the internet's impact on politics, "if we liked the results?" Jamie Bartlett had the quick answer. "Yes," he said. "But it would be a different panel." "Is there a cap on songwriting royalties?" The question came from one of the people attending a weekend-long focus group on copyright law run by Lee Edwards at the University of Leeds on behalf of the CREATe research project. 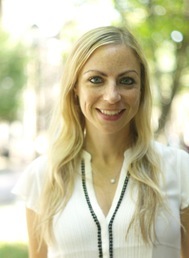 Edwards will study the recordings and eventually produce a properly academic report. This is just a rough impression of what happens when you let real people think about hard problems. CREATe was established to build an evidence base around copyright law and practice. This workshop was an attempt to understand how the non-specialist general public might think about it given a little background and time to mull things over collaboratively. Originally, the plan was that two advocates - one representing the industry and the other an advocate for reform - to make short presentations about their points of view. At the last minute, the invited copyright industry representatives declined to appear and the Open Rights Group asked me to serve as the opposing advocate. To even the imbalance, I wound up acting more as an "expert" helping answer questions. Everyone agreed the loss of an industry representative (and,I'd argue, a more direct representative of creators and artists) was unfortunate, but what can you do? There were four sessions, and nine round tables of about ten people each who added up to a remarkably diverse group in terms of age, gender, and ethnic background. Each session began with a short, neutral presentation of an area of copyright law - term lengths, exceptions, enforcement, and future reform. Participants answered a set of questions before each session began, and the same set again after it finished. In between, they discussed the issue at hand, using for reference the material they'd heard, a briefing document, and additional cases and examples. The question up top was the first thing I was asked. "No," I said, marveling at the things people think of. The group that asked this later proposed to limit copyright by earnings instead of time, so that after a certain point the work should enter the public domain. I thought this was a fascinating idea, and in some ways it seems fair. Two problems: first, Agatha Christie's The Mousetrap, now in its 64th year, would today be sending its profits to everyone but Christie's grandson, Matthew Pritchard, to whom she gave the rights when the play launched. Second: "creative accounting", the term for the kind of accounting that results in lawsuits, like the one filed recently by This Is Spinal Tap co-creator Harry Shearer against Vivendi for $1.25 million because in nearly 30 years the creators' promised 40% of the profits has amounted to $179. In a capped-earnings system no successful commercial work would ever earn out. The group asked other questions. Why does copyright last life-plus-x-years? Why doesn't it end at death? (What if the author dies before the finished work is published? Shouldn't their family get some benefit?) Why are there so many different national laws? (Because they were designed for physical media.) Why shouldn't copyright be infinite? (Mark Twain, among others, agreed.) Does the Performing Rights Society really check up to see if a garage has a license for playing music that customers can hear? (Yes.) Do you know the George Harrison case? (Now I do). Some common themes rapidly emerged. Most thought copyright should benefit artists and creators more than distributors and large corporations. Many thought today's copyright term of life-plus-70 was too long. One table suggested the creator should have the right to decide how long their work remained in copyright. Again - a fascinating idea, but in reality impractical, as publishers would likely demand "perpetual" as standard. Some thought there should be an option to release work into the public domain. The exceptions session brought many questions about fair use. Is that the same as "fair dealing" in the UK? (Roughly.) What exactly does it mean? (The context of which medium for what purpose matters greatly.) Who gets the money from orphan works? Edwards had to brief me on the second day, which I missed. In the enforcement session the group disagreed on whether the penalties were too harsh, and much concern about who bears the cost. If ISPs do more (as rights holders would like), then the cost of enforcement is passed on to their innocent subscribers; if the government does it, then the costs fall on taxpayers. More than that, since IP courts are specialist, expensive, and slow, how do we grant individuals equal access to the law? Is there anywhere people can get advice? Nonetheless, all except one person felt that copyright clearly had value. But they asked this: why should that value be denominated solely in economic terms? Surely the moral right to be recognized as creator also has value? The fascinating thing is that today's copyright laws were written by specialists because it only affected specialists. That's one reason they're such a mismatch for current technology, which democratized copyright so that it affects everyone. Discussions like these do not take place in modern lawmaking. This experience suggests they should. In mid-1980s Ireland, I called an insurer in response to an ad for discount car insurance for female drivers who covered less than some relatively modest number of miles a year. I fit the parameters in the ad, which was why I called. As a matter of routine, they asked what I did for a living. In the US, all anyone ever wanted to know was how many miles you drove a year and whether your license was clean. But I knew that in Britain, if you wanted to be refused insurance or charged an outlandishly high premium your best shot was to tell them you were a musician. I thought Ireland was probably the same. So I said, "I'm a writer." It was in fact what I was spending my time doing, but at the time I was unpublished, with no clarity about when or whether that situation might change. So I was telling them the profession I hoped I was transitioning to. They immediately said I didn't qualify for the program because writers were high-risk. He explained: "You moight wroite a bestseller, and it moight make you famous. 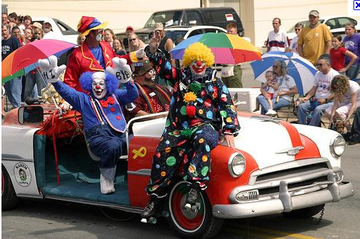 And then you moight meet other famous people, and some of them moight roide in yer carr. And you moight have an accident. And those kind [sic] of people sue for greater damages than anyone else." So, that's how many hypotheticals there? I said, "Couldn't you insure me for now and review it if and when I get published?" So, now, This week in the UK, Admiral Insurance (of which I had never heard) announced a first car quote" scheme aimed at 17-to-21-year-olds that would trade a hefty discount on their premiums in return for letting the company rummage around in their Facebook profiles to develop a "personality-based risk assessment" score that would indicate whether they were likely to be a safe driver. In the West, young people are an obvious target market for this: an average 18-year-old probably has at least five years of temptingly minable Facebook history. The company had to pull the idea two hours before launch when Facebook pointed out that the plan violated Facebook's terms and conditions. I understand the appeal. The insurance industry makes a lot of assumptions about young drivers, most of them unfavorable, particularly for boys: they're stereotyped as inexperienced, riddled with hormones, none too bright about decision-making and risk-analysis, and prone to driving irresponsibly and experimenting with drugs and alcohol. So, to an 18-year-old boy with a social graph indicating that he and his friends like to stay in at night, play chess, drink water, and watch the news, the idea of being able to get credit for seeming to be responsible and low-risk has to be appealing. I have no idea whether there's any evidence to indicate that such scoring has much validity; I doubt it. The idea has a lot in common with some of the age verification mechanisms we saw demonstrated a few weeks back. Also with: efforts in Africa to find ways to assess credit-worthiness among populations that have none of the traditional Western markers. And with: the report in August that US Customs and Border Protection is asking for the right to demand "social media identifiers" to the forms filled out by international travelers visiting the US. We think of our social media data as private; law enforcement folks refer to it as "open source". It was this approach that led Nizan Geslevich-Packin and Yafit Lev-Aretz to suggest in a workshop paper last spring that there should be a right to be unnetworked. It's easy to be cynical about Facebook's motives for stomping on this. You can say: Facebook wants to keep user data for itself to mine and monetize. Or: Facebook knows it will lose user engagement if everyone's busy sanitizing their profiles to suit insurers, age verifiers, and credit-scorers. Or even: Facebook knows people won't play in its sandbox any more if they fear their friends will use them as references without their consent. It's the last of these that seems to me a crucial point: when you grant some third party the right to profile you for a small benefit to yourself you are inevitably exposing and exploiting your friends and family's data. It's a little like getting one of those security clearances where they interview your family and friends looking for things that would leave you open to blackmail - except without the explicit permission or active participation. We do not yet have social conventions that cover this, in part because we continue to frame privacy as an individual right instead of a collaborative activity. Besides the issues many others have raised, there's this: proposals like this undermine freedom of association, which in the US is a First Amendment right ("Congress may make no law..."). As the framers knew, mixing freely with other people is an essential part of freedom of speech. Recent articles have focused on the way we are increasingly sorting ourselves into enclaves that barely understand each other's point of view, a situation that is increasingly toxic for societies and their politics. Admiral won't be the last company to attempt something like this. Even if individuals do not care about guarding their own privacy, the wider social good requires us all to resist.